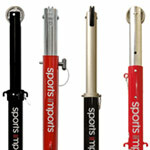 This three-in-one tri-sport pole provides quick set-up and conversion to mini-volleyball, badminton or pickleball. A simple sliding collar lets you adapt net height in minutes. The pole takes up minimal storage space and offers flexibility and safety in a lightweight and easy-to-use system. The DG33 mini-volleyball, badminton, pickleball pole weighs 18lbs and does not require a net ratchet. 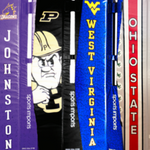 DG33 steel tri-sport poles are sold in increments of one (1) and are backed by a lifetime performance warranty. 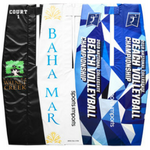 The DG33 uses portable adapters for existing volleyball sleeves.